A package arrived in the post a couple of days ago. 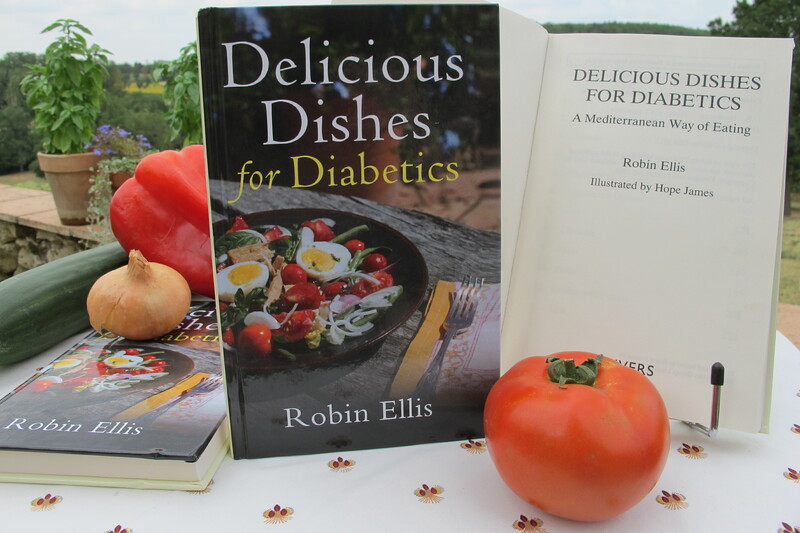 In it were three sample copies of the new hardback edition of my cook book, Delicious Dishes for Diabetics! It’s a year to the day since our launch party in the garden, though the timing is purely coincidental. This hardback is no coffee table tome with lavish photos–the kind that are too heavy to be of practical use in the kitchen. It is a LARGE PRINT edition for people who forget where they’ve put their spectacles! This new version (in black & white) is available via Amazon.com/. When are you going to publish your first book of Haikus?! Congratulations on the new edition. Mine is looking a little dog-eared, but large print is a great idea for those diabetics who suffer with their eyesight. It’s reassuring to know that I am not the only one who can never find their glasses even when on top of their heads,-where are they had them a minute ago someone has shifed them,how can that be, here then not here we have had the borrowers in again. That table looks so lovely must have taken hours to do worth it though, can it really be a year since it all took place.I already have two copies of the book just I did have three but gave one to a freinds to take back to Sweden with them. I will buy the hard back jsut for me. I’m thinking you should now record an audio version of the book. Are there any audio cookbooks!? Count me in with the people who CAN NEVER FIND THEIR DANGED GLASSES! I have also had them on my head while looking. 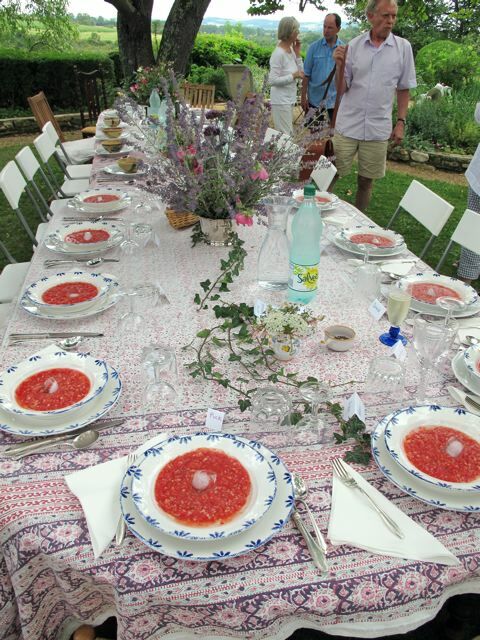 So glad I havn’t completely lost my mind (yet) I am enthralled with that BEAUTIFUL TABLE SETTING! Love living in the South of France -VICARIOUSLY thru your blog, Robin! congrats, Robin, and best of British for your new version. I think an audio book is a great idea. However, one puzzled comment, in your list of organizations to help dianetics, why no mention of Diabetes U.K.? If you look to the right of Testimonials on the tabs at the top is useful sites–partially obscured by the search box–Diabetes UK is mentioned.